Prisha Khatri is a regular college graduate, focused on her career, desperate to finally move out of her parents’ house and freshly dumped by her successful fiancé. When she lands a job at a prestigious media house, she’s glad to have something to take her mind off her heartbreak. What she doesn’t expect is to be landed on a business trip with a famously fiery reporter Rajesh Lagheri. He’s travelling to a business conference for a story and doesn’t seem impressed by her involvement. But as soon as they’re out of the office, things change and it becomes clear that there is more to Rajesh’s trip than meets the eye. As Prisha is drawn into the story he’s trying to hide from their editor, their hunt for the story grows more intense and she finds herself growing closer to Rajesh. 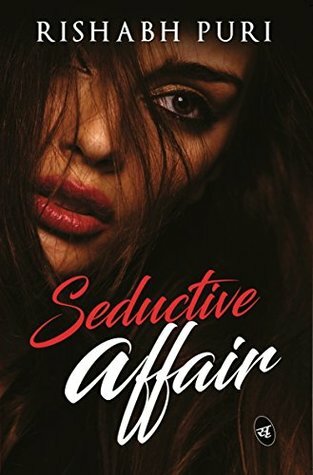 As their chemistry threatens to overwhelm them and Prisha is pulled deeper into the Seductive Affair, she must decide what matters most to her matters of the head or of the heart. It had been a long time I had reviewed any Romantic thriller hence as I got my hands on it I decided to give it a chance. Its a really nice read which I finished within a day. It's quite short and hence if you are fast paced reader like me it'd be a matter of hours to get done reading it. I really enjoyed to the story as the characters were really well developed. The narration was good and language was simple and nice to read with. You can read it while travelling or just for fun if you are bored. It was although a very predictable story as its already been given out in the blurb hence there was nothing much to expect from it inside. Yes, even though it was predictable it wasn't cliche or bad at all. Certainly an enjoyable read. I really like the fact that it didn't headed much on ranting about a free woman and all those already overused lines and plots from the other books. It was something unique and different. It didn't had much of twists and turns and was quite a straight forward read. Nothing that you would find coming up unexpected. The narration and flow of story was so good that it'll keep you gripped to the book and you'd surely love to read ahead. You won't feel bored after a few chaps for sure. I wish there could've been more of twists and turns, more of plot where the insides of the press world is shown. Also there was a lot of plot left unused, where I felt climax could've been much more interesting and better. The present one isn't bad but it falls very short in expectations and its predictable. There were some good moments to read as well hence it was an overall well balanced read that'd you'd surely won't mind reading once.